Pax Business Services, led by Sara Pax, supports clients with specific questions and needs for their start-up and growing businesses. From financial advice, to business planning, to management and strategy, and customer service and support, Pax Business Services provides impartial advice to every client at critical times in their business. Sara Pax is a committed entrepreneur with years of experience in businesses, large and small. From germinating an idea to building a real and achievable business plan, to expanding an existing business beyond its current limits, to changing brand dynamics or deep-rooted operational practices, Sara believes that there is no substitute for "beginners eyes" - an outside perspective that brings a fresh viewpoint to any situation. 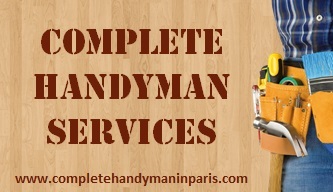 Most recently Sara co-founded Complete Handyman Services, a renovation and handyman business servicing the anglophone community in Paris. Prior to that, Sara founded Bluehorse Associates, a business dedicated to innovative solutions for sustainability in the food industry. Before that, Sara founded Earth Hero, a fairtrade organization focused on developing long-term business solutions for communities around the world. Sara is currently the Associate Dean at The American Business School of Paris. She is in charge of the daily operations of the school, developing and implementing the academic programs, hiring teachers, accreditation reporting, and other related activities. She also teaches Entrepreneurship, Sustainable Business, Behavioral Economics, Marketing Research, Branding and Strategic Marketing, and develops new courses each year. Sara lives with her partner and their kids in Paris, France. She holds an MBA with a focus in marketing research from the University of Illinois at Chicago, and a BA in International Relations from The American University in Washington DC.